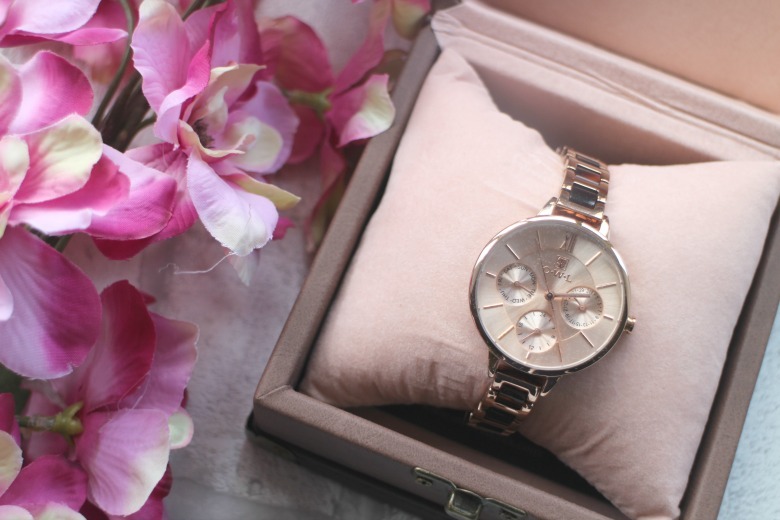 Bloggers are blamed for many clichés and trends, none more so than the rose gold Michael Kors watch which yes, I own one too. For the most part it’s a watch I’ve enjoyed wearing but some outfits and occasions require something a little more delicate on my wrist. 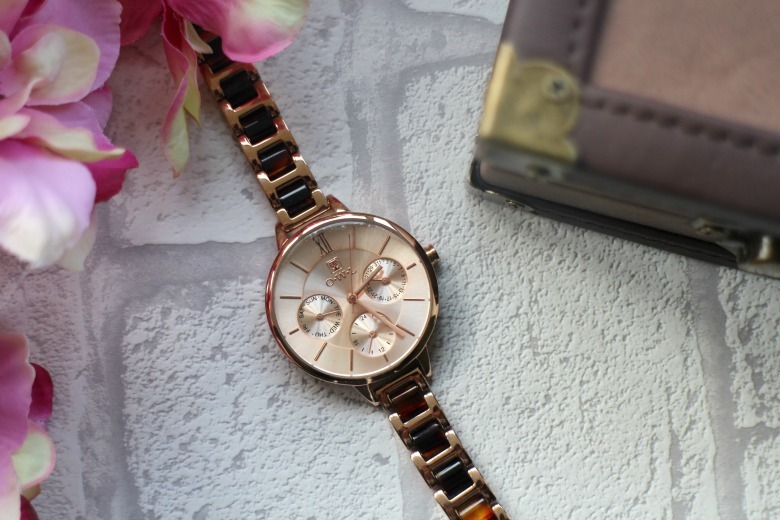 Luckily for me O.W.L Watches offered me the opportunity to try something from their brand therefore providing the perfect opportunity to test drive a more slender style. 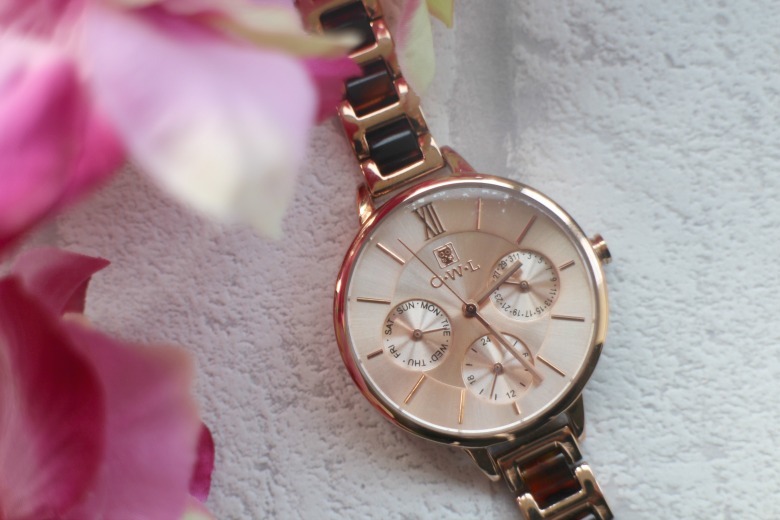 O.W.L Watches are British brand founded by Annette Allen who decided to branch out from the well-known brands she was working for. Designing a collection of beautiful, feminine and trend drive watches featuring British elegance and contemporary styling with concepts found in such places as beautiful old towns and stately homes . 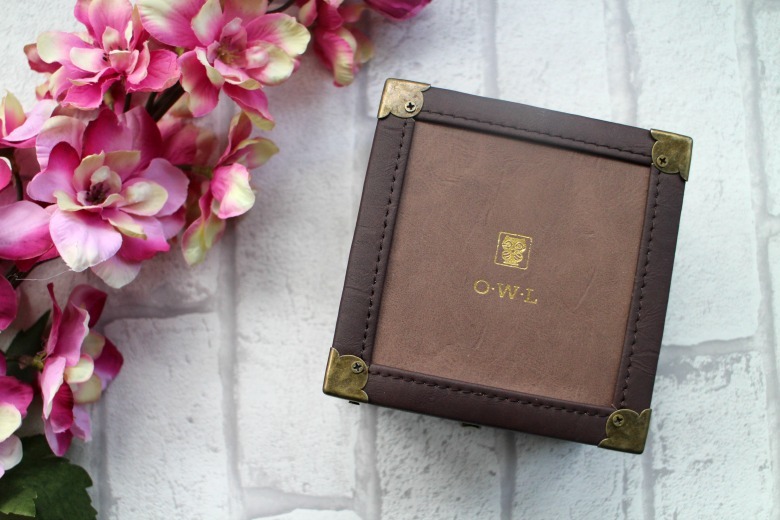 Made from quality materials each watch is packaged in a Victorian inspired travel case making this the perfect gift, especially if you’re looking for Mother’s Day ideas. The watch I decided to test run was the Greenwich Gold and Tort Multi Dial* as I couldn’t resist the tortoiseshell and gold stainless steel strap. I was also drawn to the 33mm face featuring three layered sunray dials combining day, date and 24 hour clock functions. I have a date function on my Michael Kors watch and I was surprised how used to looking at it I was so this is a feature I rate highly when picking a watch to wear. I feel like I’m wearing a bracelet with this watch which is exactly what I was looking for. With lack of cocktail parties to attend to I’ve been wearing my O.W.L watch going about my usual business and I’ve not found I’m missing the chunkier style I was used to. Neither one will replace the other but it’s clear there was a place for different designs in my watch wardrobe and both styles are to be enjoyed. Typically I would have written off a more slender style assuming my preference is for the chunkier style but this is proven to be not the case. In fact if I wanted a watch that was perhaps the combined efforts of the two it would be the Balmoral Rose Gold Vintage Style Watch. I’m sure that would be perfect for those of you want something less delicate than the Greenwich I picked but not as large as the Michael Kors designs. You’ll find a two year guarantee with O.W.L watches and have no fear there is a substantial men’s range too for the man in your life. What are your watch preferences? It definitely works with some of my more dressier clothing options!